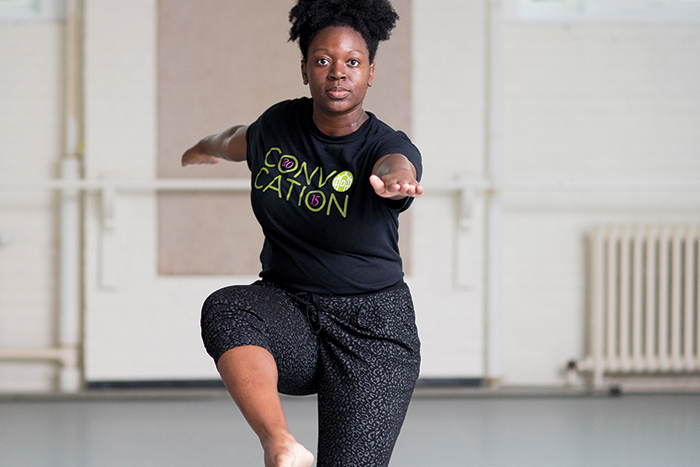 Charnice Charmant ’16 steps gracefully into both the chemistry lab and the dance studio. I started dancing, by force, at the tender age of 4. My mom took me to the dance studio and told me, “I bought you these shoes, so go—dance!” And I screamed and screamed, telling her that my passion was to play the drums. I left the studio that day and my mom brought me back soon after. I didn’t give her any trouble that time. My favorite style of dance is anything that can move me. Though my personal aesthetic leans more toward Afro-modern, I find life in other forms of dance that have the ability to transcend my body, mind and soul. My senior thesis will explore black dance as a connection between higher education and race/class. The final product of my research will be the proposal for a concentration in Africana dance studies. The addition of this concentration to Smith’s dance department will support the mission of Smith’s Lewis Global Studies Center, which aims to enrich and promote opportunities for the critical study of global issues in and out of the United States. The concentration will also engage students, faculty and staff in intercultural studies. My favorite Smith class so far is organic chemistry. It was after this course that I declared my chemistry major. Organic chemistry appeals to me because it makes sense: electrons are moving, bonds are being formed, negatives move toward positives and reactions happen. I appreciate when things make sense. As a member of the Science Center Committee on Diversity, I hope to help STEM be easier to navigate for underrepresented students. There is a lot of work to be done: How do we appeal to students of color? How important is it to have a diverse faculty? How does this influence who is taking these courses? 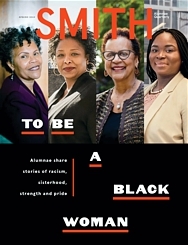 I hope that my work contributes to the assessment of classism, elitism and racism at Smith. I hope that we find answers to these questions and make a turnaround for the better. To be a black woman in science and dance is to be a black woman in the world—to be underrepresented but to always persevere.